Wind and Chimney Performance - Chimney Caps and Drafts?! Wind and Chimney Performance – Caps and Drafts?! Does wind really affect the performance of your chimney? What may cause a draft in your chimney? 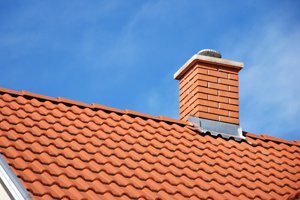 Does a chimney cap actually DO anything, or is it just for appearance? Air actually does have weight associated with it – so when it gets moving, it exerts pressure on anything that gets in its way. If you have experienced a sixty mile per hour wind, you know all about it. Just like water, air flows in currents when it gets turbulent, as it does flowing around obstacles. The fact that air is invisible makes diagnosing wind-induced venting failure mostly guesswork, but there is some science that provides guidance. Despite the fact that wind flowing over a chimney can produce a driving pressure, it cannot be depended upon for appliance performance because it is variable and obviously unpredictable. The only dependable driving pressure in a chimney operating on natural draft is produced by temperature difference. So, what about chimney caps? Wind can actually force exhaust back down a chimney without that doesn’t have a cap! For example, wind can often flow down towards the top of a chimney after passing over an obstacle like a roof or trees. Wind may also approach the top of a chimney from below after flowing up a roofline to a chimney penetrating the peak. Wind tunnel testing has demonstrated that wind flowing from either above or below the chimney top can be adverse to upward flow by creating positive pressure at the top of the chimney. This is one reason a complete and properly functioning chimney cap is very important to your fireplace and home. 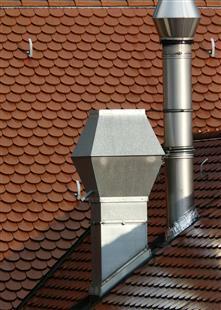 Wind approaching the open top of a chimney from above can cause positive pressure in the flue. Less obvious is that wind approaching from below can also cause positive pressure at the top of the chimney. We know it can be a pain to try to crawl up your roof, observe your chimney cap and determine if all is A-OK. Unfortunately it is necessary for so many reasons. But, fortunately First Choice Chimney is conveniently right here in both Dallas/Fort Worth and Austin. So, that’s why we are here – to take on the laborious tasks with effectiveness and efficiency, so you can just simple enjoy your fireplace and chimney without worrying about what could happen!